Hellboy, an American supernatural superhero film revolves around the half-demon superhero character named Hellboy from Dark Horse Comics. 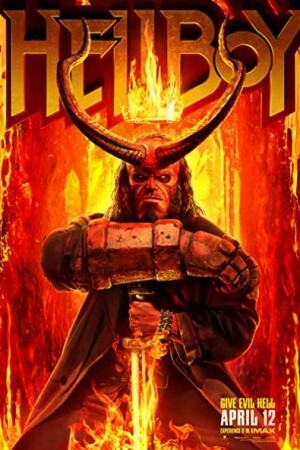 When mayhem strikes the English countryside with a trio of giants causing a destruction of the land, Hellboy is called in to put up a fight against the evil. On the rival side, Hellboy meets The Blood Queen, Nimue, and a resurrected sorceress who is on a hunting spree for a past betrayal. Within a clash between the supernatural and humans, the superhero needs to gather up all his powers and put an end Nimue’s evil plans and save the world. Who wins the battle and what happens to the world next forms the rest of the story.